Foundational issues in statistical mechanics and the more general question of how probability is to be understood in the context of physical theories are both areas that have been neglected by philosophers of physics. 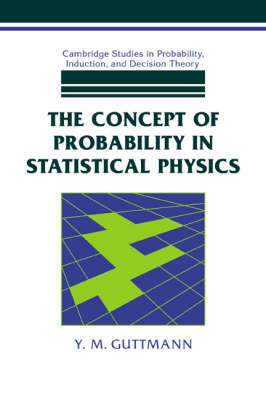 This book fills an important gap in the literature by providing the most systematic study to date of how to interpret probabilistic assertions in the context of statistical mechanics. The book will be of particular interest to philosophers of science, physicists and mathematicians interested in foundational issues, and also to historians of science. Buy The Concept of Probability in Statistical Physics by Y. M. Guttmann from Australia's Online Independent Bookstore, Boomerang Books.